Memorial services for Michael Lee McCoslin, age 66, of Brazoria, Texas will be held at 10:00 a.m. on Monday, April 2, 2018 at Lakewood Funeral Chapel with Cliff Robertson officiating. 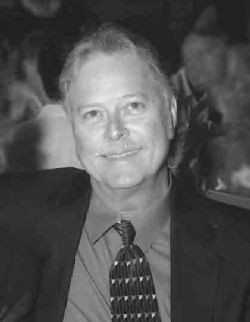 Mike was born in Freeport, Texas and graduated from Brazosport High School in 1970. He was in the Navy and served in Vietnam from 1971 to 1975. He was an Instrument Tech/Electrician and worked all over the world for Seimens. Mike was preceded in death by his parents, Leon and Mary Jane McCoslin; brother, Dwayne McCoslin; son, Michael Shea McCoslin and great-granddaughter, Penelope Jade Villegas. He is survived by his wife, Tommie Louise McCoslin; stepdaughter, Celina Villegas and husband, Alex; grandchildren, Rumaldo, Xavier, Cacilia, Jasmin and Mischa; great-grandchildren, Madison, Elias, Lillyann and Yukina; uncle, Chuck Stanley; and many cousins.